To fix what was wrong, I tried a prescription of Metoprolol, which is a beta-blocker. I really really hated that Rx. You get winded going fast up the stairs. Hiking a mountain took forever (but I did it anyway, just at a slow pace), and my typically brisk walk was reduced to something more moderate. I also gained weight as a result of this lethargy. And while I'm all for body positivity at any size, I'm not a fan of gaining weight because I don't have the ability to get up and dance fast without feeling faint after a few minutes. So, it was time to move on to the next solution: surgery. So, they went in through my groin with these tubes and found where the abnormal electrical signals were and burned my heart from the inside, like some Frankenstein monster. And OH MY GOD DID IT HURT SO FRICKEN BAD but it was over pretty quick. My mom came back from NOLA to help me out during the procedure and to drive me around the next few days--that is until the old Buick broke down due to a radiator hose. (He really was on his last legs, that J. Phineas Tobias St John III of Park Avenue. Bless his heart.) And I got to see my family for family dinner the weekend before. 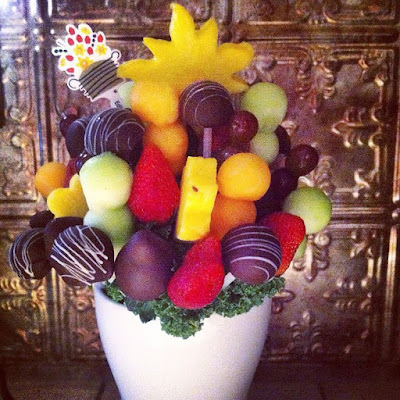 My friends from growing up sent me a lovely Edible Arrangement, and I got lots and lots of lovely well-wishes from friends near and wide. But I'm burying the lead here, though. How is that I came to get this perfect image of my heart, you might be wondering? I know people is how. Hahaha. The world is small, you see. The full story goes as follows: when I was a teeny tiny baby just out of college, I worked as a high school English teacher in a small town up in Maine, where Stephen King is from. My radical, liberal-minded ways didn't really fit well with the principal so I didn't last long, but I got to know all the students at the tiny school and I really loved being a teacher there. I am friends with most of them on Facebook, in fact. 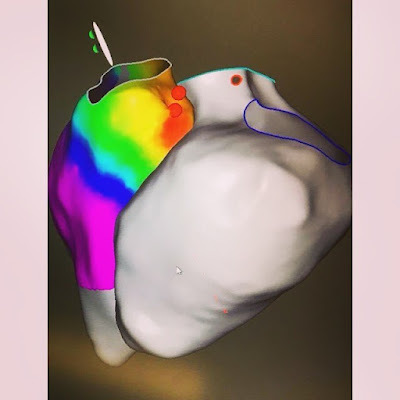 And when I announced that I was having this surgery, one former student got in touch because doing those surgeries was his job, or more specifically, being the cardiac electrophysiology specialist who makes the maps of the patients' hearts for the doctors to perform the procedure. And it turned out, he worked at the hospital where I was having the surgery. He got the details of my case and was sure to be on my surgical team. So, as I walked into the operating room and looked behind the glass window, before laying down on the operating table, I saw him taking a seat at the computers and I said, "Hi!" and he smiles and waved back. The nurses looked at each other really really really confused. I explained how I knew him. It was remarkable, especially considering I look so young for my age, so it seems impossible I'd be old enough to be the teacher of the guy on my heart surgery team, right? Hahaha. And all went well. Afterwards, he sent this picture of my heart, so now you all can take a good look at it. Aren't you lucky? 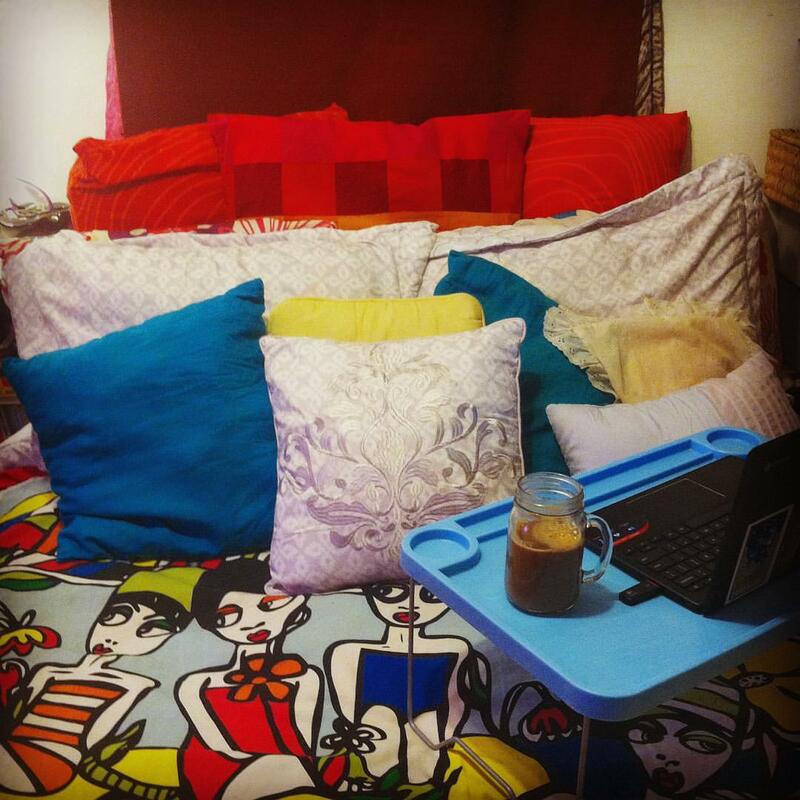 This is why I made my room as "hygge" as possible. I spent a lot of time there last month! I seem to be on the mend and I don't feel the funky heartbeats. I'm not dizzy or faint and I don't have pain in my heart, most of the time, so long as I remember I just had heart surgery so I still need to take it a little easy. Like I can't climb the stairs super duper fast with my arms full of books and folders and bags, like I keep doing at work. So, I took it slow in March. That's why bought a new car, found a new roommate, started taking a management course, did bunch of major projects at work and am planning a long vacation to San Fran and NOLA next week. Wait, I forgot to take it easy. Oh well!